I wrote an article recently regarding Ora-Ito’s design for Reebok and Wallpaper. The design was inspired by the sole of the RealFlex sneaker. The design is amazing ad so is the fabrication procedure through CNC milling.. 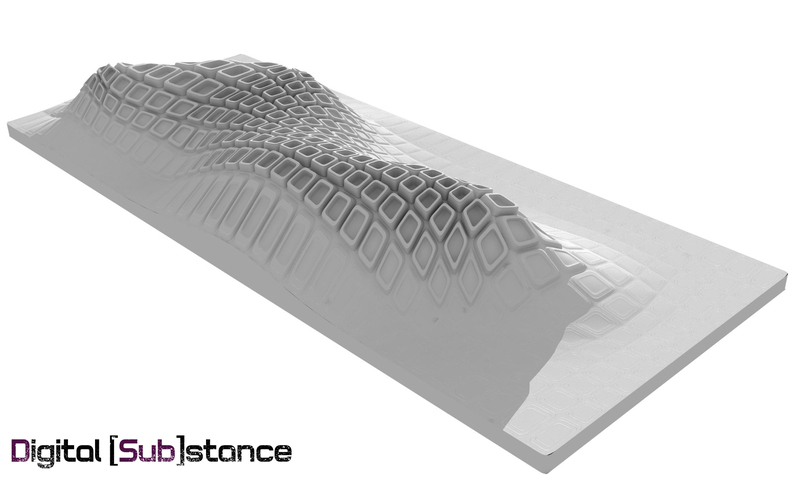 I thought I would give it a try and attempt to recreate this concept to a fully parametric model in Grasshopper. The definition needs no input from rhino. Everything is adjusted within GH. The process uses various techniques such as Image Sampled HeightField, multiple attractors, curvature measuring and mesh smoothing.. The definition is still a bit rough thus it can be optimized I believe.. Any feedback or variations are welcome.. The result its quite close to the original.Don’t you think? I hope I won’t have any copyright issues..